Kate is the only girl in her family of 6. She has 5 brothers. 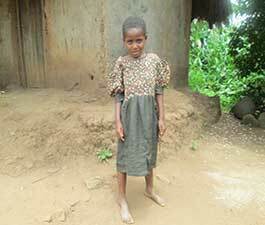 Her father died in 2012 and she lives with her mother in a mud, glass thatched house. 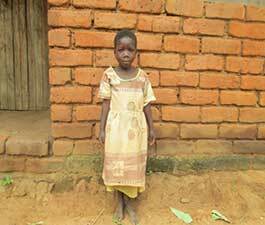 She likes playing with her friends and helps around with the household chores like doing dishes and fetching water from a well. She is very fond of the colours red and yellow. She is a polite and obedient young girl who would aspires to be a teacher in the future. Million and his brother Yohane lives with their grandmother in a grass thatched house. Both their parents passed away in a far-away place and no details are available about their 2 brothers who were with their parents. Million spends most of his time at home and wants to be a police man when he grows up. He enjoys playing on the swing and loves the colour blue. Precious was born alone and his mother died in 2003 when he was very young. Soon after the death of his mother, the father abandoned the kid leaving the boy with no option but to live with his old grandmother. 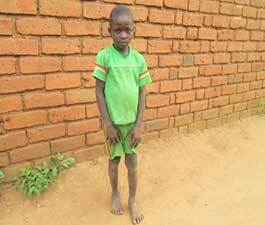 Despite all the difficulties he has faced, Precious is doing well in school and wants to grow up to be a doctor. His grandmother describes him as a hard working, helpful and a trustworthy young boy. He loves Nsima with beans and likes to play soccer with his friends. Born in a family of four, Cheison has a brother Mayeso and two sisters – Rute and Mercy. His mother Marie Roderick died in 2009 and the kids have lived with their father since. Their father did not pay much attention to the kids and they would spend days without food. They now live with their grandmother. 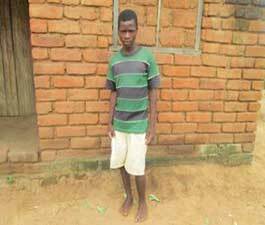 Chemison is a quiet boy who loves playing soccer with his friends and wants to become a doctor. He love eating Nsima – a local food made from corn. 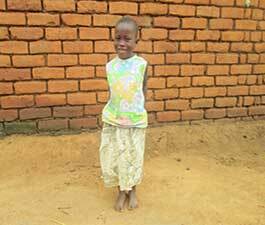 Merida is an ever smiling girl born in a family of seven children but circumstances meant the only two of them are alive today – herself and her your brother Chimwemwe. They live with their parents in a small house with no room. Both her parents keep unwell and often get sick. Merida has the courage to prepare meals for the family when her mother is sick. She continues going to school despite flailing health. She would like to be a doctor and serve her community upon growing up. She likes playing different games with her friends and her favourite colors are blue and white. Kola was born in a family of five kids with three sisters and a brother. After the death of their father in 2011, they live together with their mother. They lead a tough life with their mother Naomi barely managing to find enough food for the whole family. Kola is an ambitious boy despite the hardships he is facing at a young age. 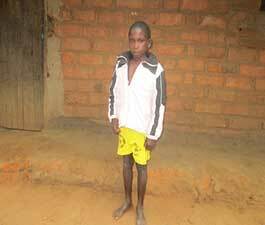 He is working very hard in school to achieve his dreams of becoming a doctor. 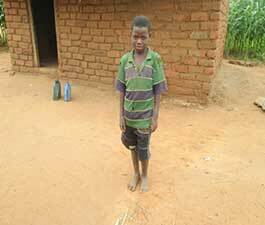 He loves Nsima, a local food made from corn and chicken and playing soccer with his friends. Yohane and his brother Million live with their grandmother in q grass thatched house. Their parent died in a far away place and no details are available about their other two brothers who were with the parents. Yohane is doing very well in school despite what life had to offer him in his early years. He is a very friendly person and every one loves him. Yohane likes playing with his friends. His favourite color is green and wants to be a driver when he grows up.